Jonathan Antoine is a classical singer who appeared on Britain's Got Talent in 2012. After recording two albums with his then singing partner, Charlotte Jaconelli, he secured a solo deal with Sony. To launch this new solo career, Jonathan required a new site that would reflect his personality, the elegant nature of classical music and appeal to his fans. 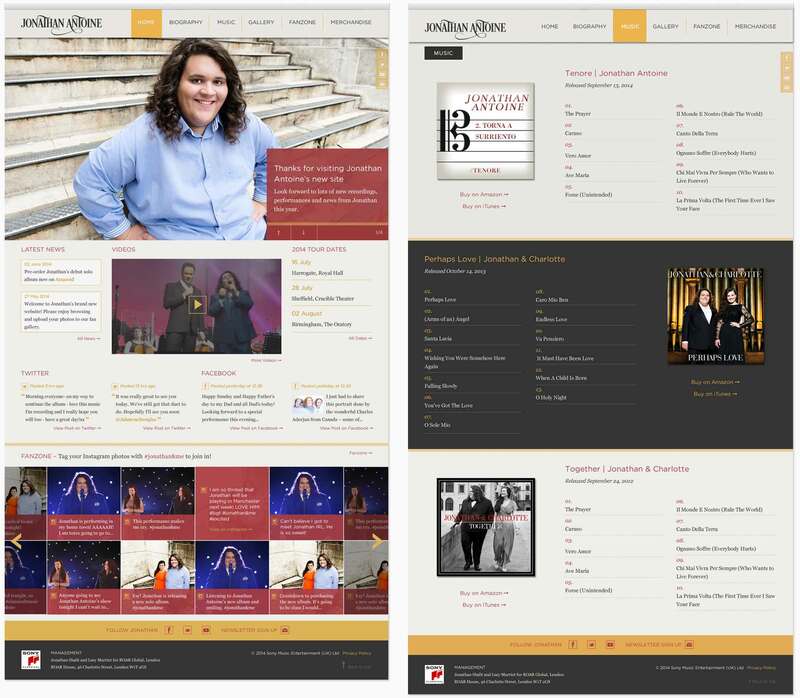 Working with the wonderful Chris at Kleber, I designed an elegant layout utilising the golds and deep reds so often found in opera houses. A news stream provides ongoing updates while a gold motif of five parallel lines denote a music staff and feature throughout. 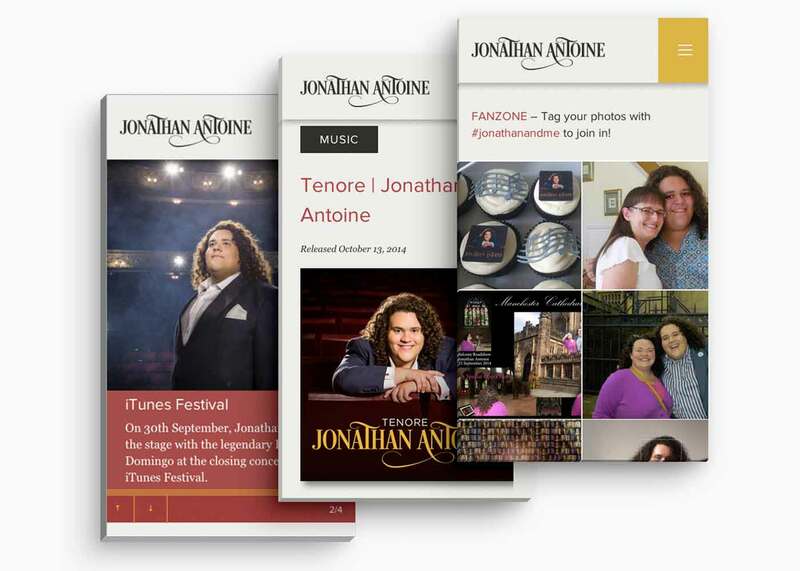 Jonathan's site features a "Fanzone" encouraged his fans to interact on social media. The site required a designated page to assemble tagged photos in one place. 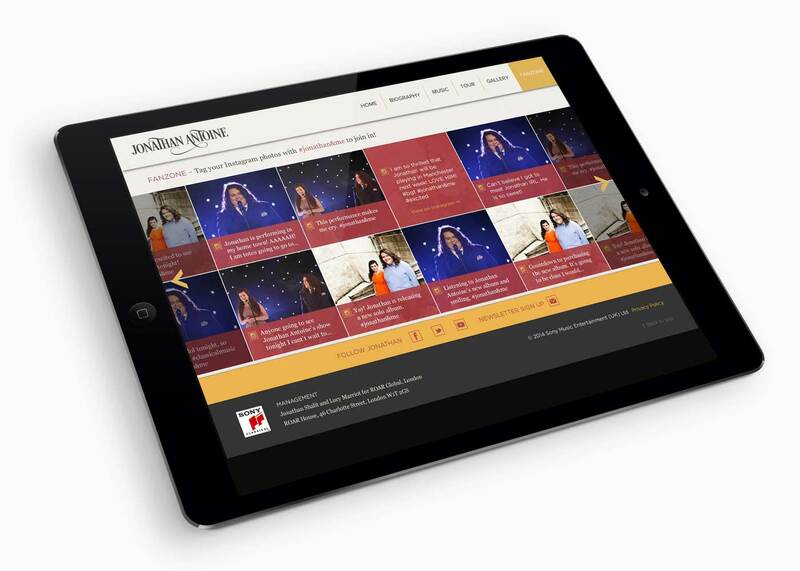 The site is fully responsive. This enables fans to keep up-to-date with Jonathan, buy tickets for shows and find out more about his music no matter what device they are using.